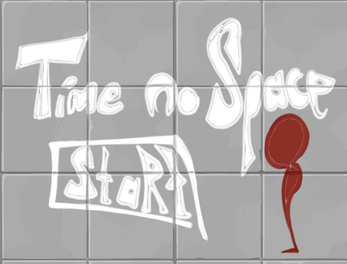 Time No Space is a platformer about getting to the exit door. Unfortunately the door is usually unaccessible untill a button is pressed or something similar. However it isn't always possible to press the button and reach the door at the same time. So what do you do? Well you make yourself from parallel timelines help you out. Have one self go set things up while you escape, or the other way around.